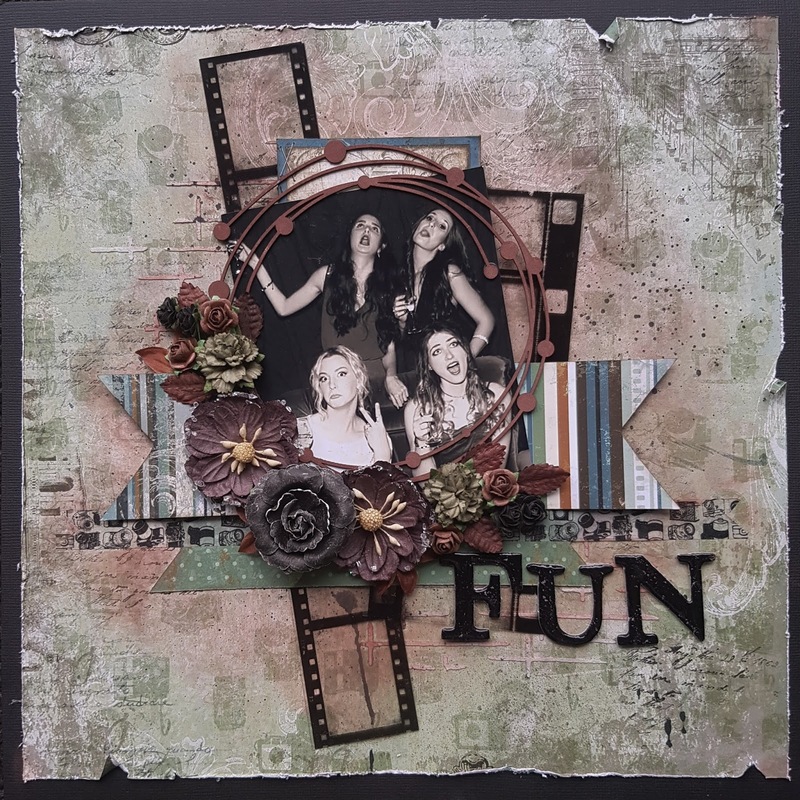 And it's a new challenge at Colorful Creations - and this 1 September reveal is a one Word challenge. The words for this month are SCHOOL, PRIMARY COLORS, FUN and PLAY. We had to incorporate these words into the challenge, and it could be in the way of the title, picture, pattern paper, etc… let creativity be your guide, as I would love to see what you come up with on their blog! 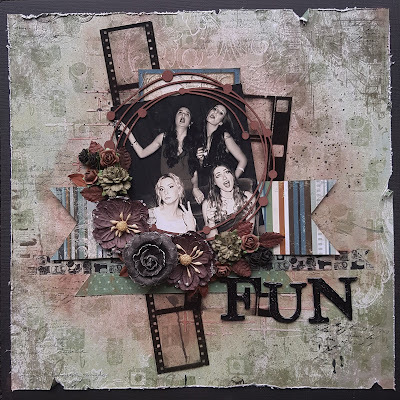 I have incorporated the word FUN into my layout. This paper is a very old range of Bo Bunny that I dug out of my stash. This photo is of my daughter and her friends, who had attended a Cluedo evening. They had to dress up. Here is one of their silly moments having such fun that night. Hope that the words for this challenge will encourage you to take part in the challenge!